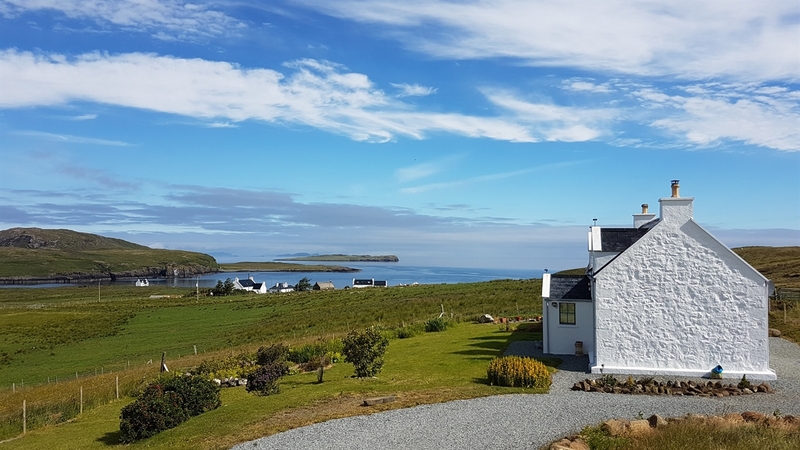 Situated on the stunning Trotternish peninsula of Skye, the Old Croft House cottage provides high quality accommodation that sleeps four in two en-suite bedrooms (1 king, 1 twin). 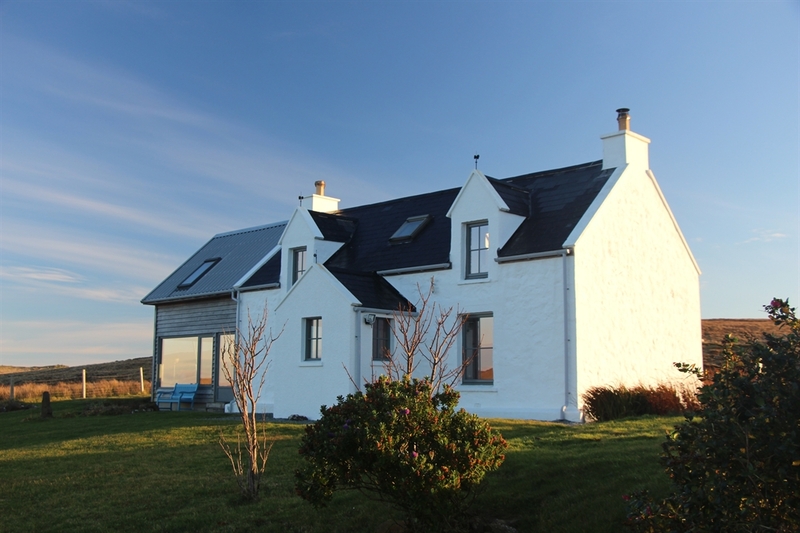 It is a very well equipped, warm and welcoming 'home from home' in a lovely, quiet and peaceful location, with panoramic views across the bay and beyond. Sit back and relax and watch spectacular sunsets unfold in comfort. 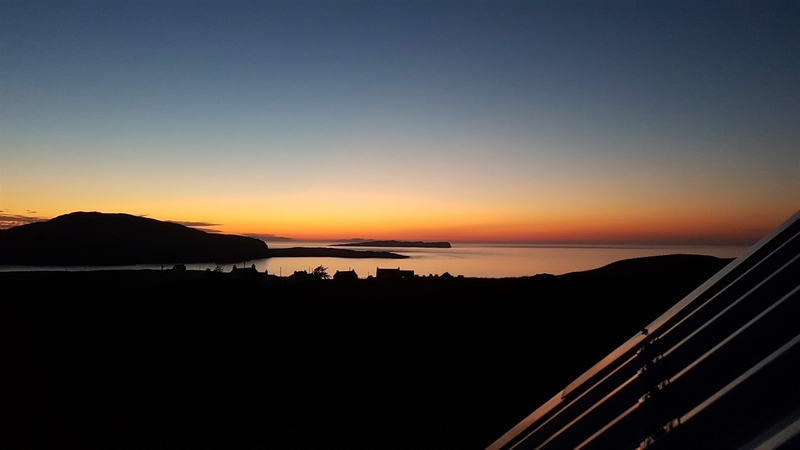 It's a great base for visiting many places of interest too, as the Trotternish is rich in history, and renowned for its wild landscapes of beauty and wildlife. There are dark skies too, making it an amazing place for stargazing; on clear evenings you may see the Milky Way and the magical Northern Lights. 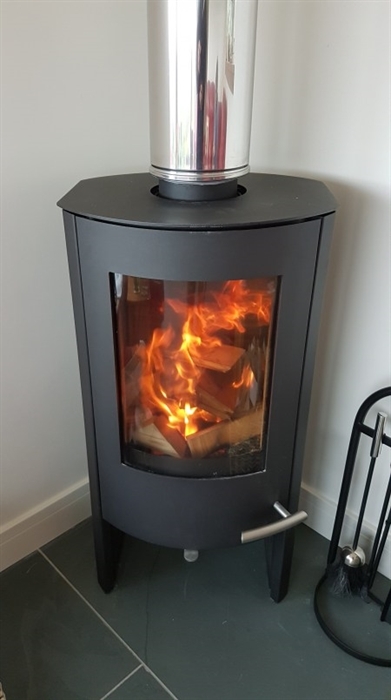 The cottage is newly refurbished throughout, cosy and equipped to a very high standard for your comfort. 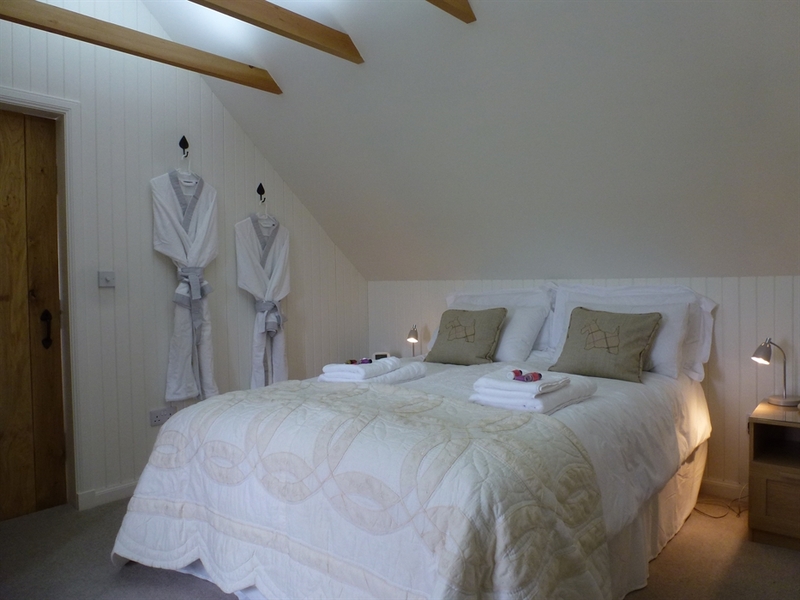 It sleeps four in two en-suite bedrooms (1 king, 1 twin) both with WC, basin and digital power shower. 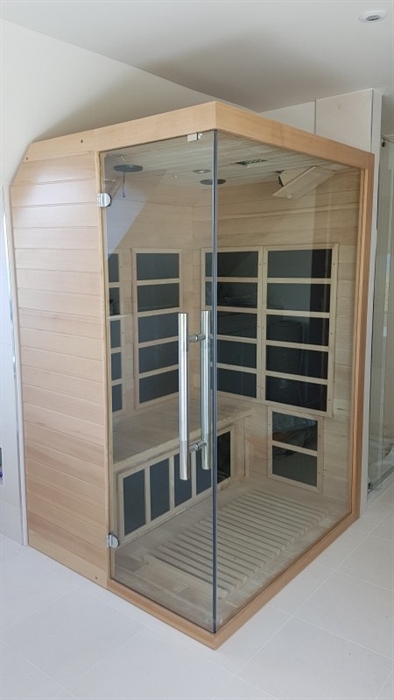 An infra-red sauna for two and deep bath with sea view adds luxury in the master en-suite. There are two lounges, each with a wood burning stove. 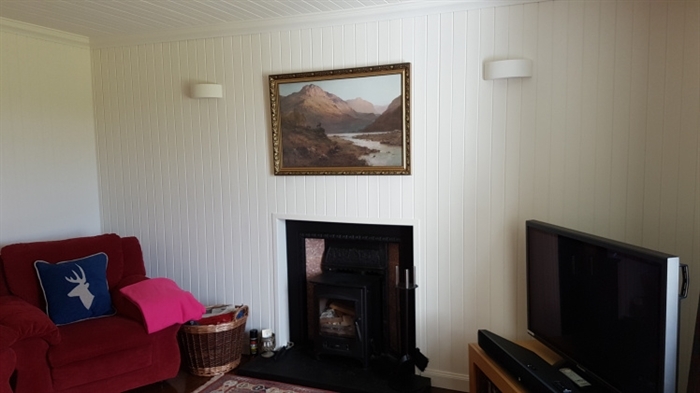 The traditional lounge has a 42″ satellite TV, books, maps and games. 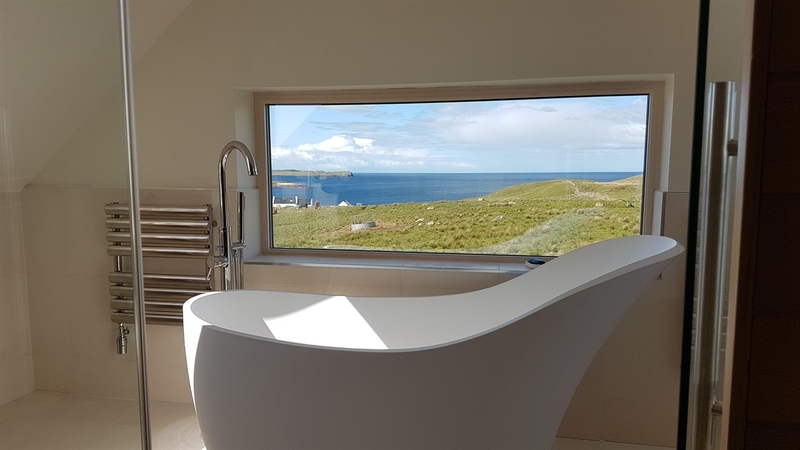 The modern lounge in the new extension has spectacular views to land and sea; many guests simply sit on the reclining leather settees or chaise longue and enjoy the view. 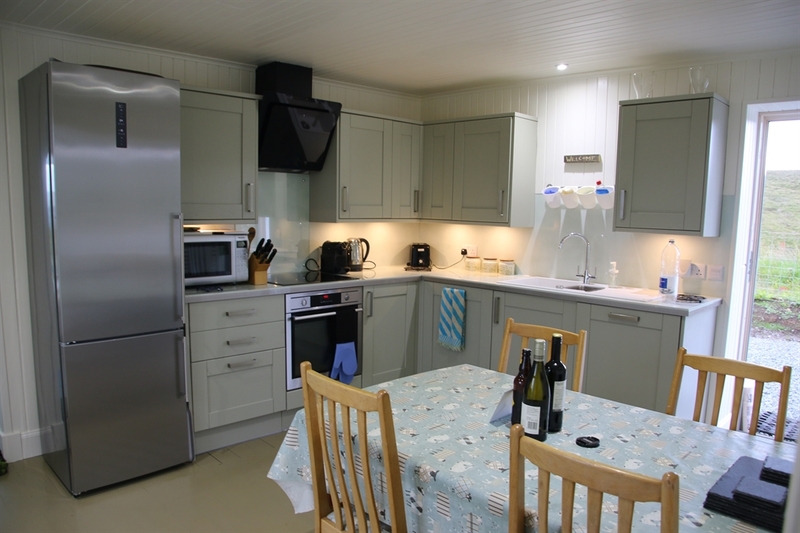 The kitchen is very well equipped with hob, oven, microwave, dishwasher, fridge freezer and Nespresso coffee machine. A utility room contains a washing machine, Belfast sink, iron and board. Broadband internet is available via wi-fi throughout. 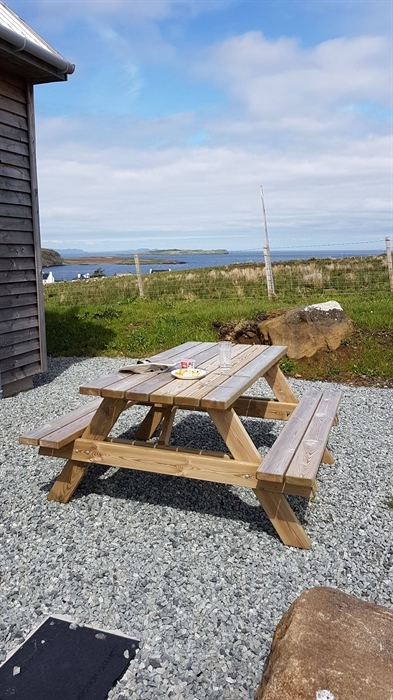 There are lovely walks from here too, along unspoilt coastline, to the famous Rubha Hunish bothy, and the fabulous Single Track cafe. 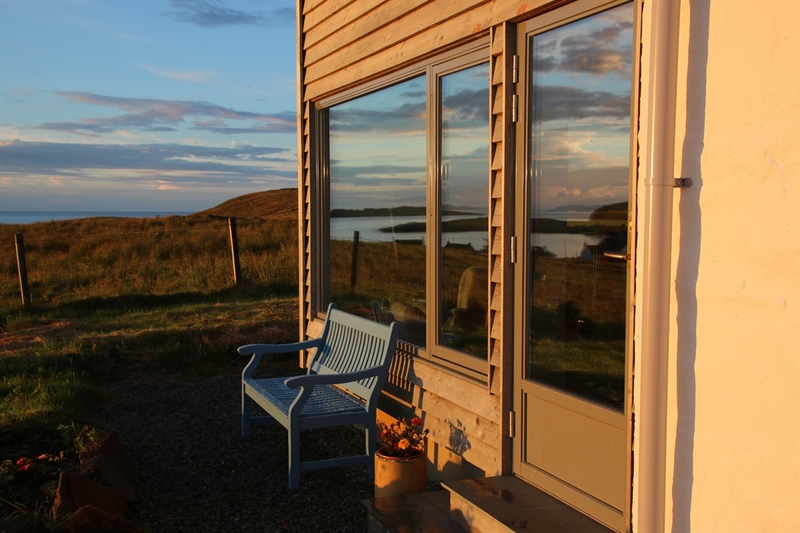 Wildlife is still plentiful here; hares, Golden and Sea Eagles may be seen from cottage, otters in the bay, with whales, basking sharks, dolphins and seals in the sea around us. There are many 'must see' sites close by, most within 15 minutes and all within 30 mins drive including: the spectacular Quirang and the Trotternish ridge, the Old Man of Storr, the Museum of Island Life, a monument to Flora MacDonald (of Bonnie Prince Charlie fame), the ruins of Duntulm Castle (ancient seat of the MacDonald's), dinosaur footprints, a lovely beach at Staffin, and the ferry to the Outer Hebrides from Uig. Excellent cafes and restaurants are nearby. Portree, the main town on the island is 40-45 minutes drive away, but expect to stop a lot to take in the views, as it is a spectacular drive. There you can buy Scottish fare of fresh fish, meat etc. as well as going to the cinema and live events. 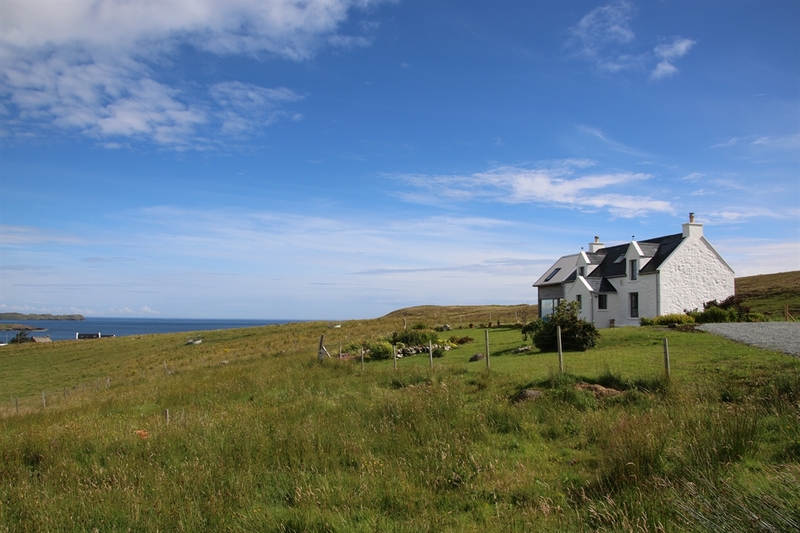 Wildlife tours, a trip to the Outer Hebrides or St. Kilda or the Cuillin mountains can all be done from here. There's coasteering, biking, mountain walks and other Skye adventures for the more energetic. Or simply kick back, switch off and enjoy the view. Well behaved dogs are welcome by prior arrangement. Sorry, no children under 12 and no smoking in the property.